Perhaps you’ve heard that verse before. We use it to judge other people, because although they look good God, and I, know what’s really going on in their hearts. In reality, we all judge on appearance more than we’re usually willing to admit. Although we know and quote 1 Samuel 16:7 we often live in opposition to this principle. Hemlines – women in general are more regularly judged by appearance and people associate values with clothing choices us as the length of a woman’s dress. Because we know people make judgements based on appearances we then begin to accept them and play along. We may even try to use those judgements to our own advantage. “It’s not a coincidence that many politicians wear red-coloured ties with light shirts and darker suits. When it comes to playing along there’s not much we can do about our skins. We all ‘play along’ to some degree in regards to clothing, but accepting skin colour as a reasonable basis to make judgements about a person is dangerous. Viewing a presidential candidate as passionate because he wears a red tie pales in significance compared to initially regarding someone with dark skin as dangerous or assuming that someone with white skin would ‘fit in’ better to our office atmosphere. It’s difficult to see people inside-out when society, and perhaps our human nature, trains us to see others outside-in. Notice in the opening verse that God states that it’s completely natural for even the great prophet Samuel to judge people by appearance. But as we grow in spiritual maturity we must desire to see others as God sees them. Reconciliation as described here has many different applications. Primarily all humanity needs reconciliation with God. But given the history of the United States no one can claim to be reconciled with God while neglecting racial reconciliation. Given the tragedies we’ve witnessed around this country recently, the church can’t preach forgiveness while standing on the sidelines pointing fingers at violence and injustice in others. Christians should be leading the way in practicing reconciliation because we regard no one from a worldly point of view. Can we continue to describe churches as black and white if we no longer regard others from a worldly point of view? Can we tolerate education systems with disparate graduation rates running along racial lines? Can we remain silent while African-Americans fill our jails at a disproportionate rate? Do we really believe that in Christ the old has gone and the new is here? Or is it too easy for us to rationalise the points above? Do we really see people differently because of Christ, or have we just memorised a couple of feel-good Bible verses? Remind Yourself Frequently: When you find yourself saying, “Typical, black drivers are always cutting me off.” or “Well, that’s no surprise, Indians are taking all our jobs.” Find ways to talk back to yourself. Remind yourself that each person is an individual with struggles and bad habits just like yours. Remind yourself that God loves them too. 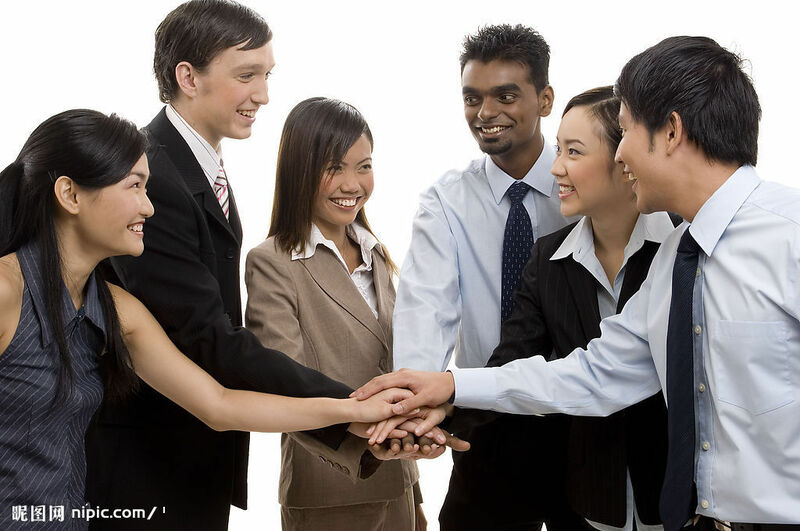 Make New Friends: If you live in a racially diverse community, and all your friends come from the same race as you, it’s time to develop some new friendships. It’s hard to demonstrate that you’re an agent of reconciliation if your friends are all one color. It has taken the United States centuries to reach this point in race relations. While prejudice may never disappear from our society, Christians have an opportunity, and responsibility, to demonstrate a better way. We can show the world what a difference it makes to move through life Seeing Inside-Out. This summer I’ve been participating in a Summer Blog Tour with some excellent bloggers. Our theme for the summer is “[ ] Inside Out“. You can follow their work on my primary blog: www.ozziepete.wordpress.com. This post will also be shared on their sites in the coming weeks. As part of our Summer Blog Tour you can win a copy of Tim Archer’s newly released book and accompanying workbook Church Inside Out by leaving a comment on this page and then completing the form over HERE. Last week I began a 3 part interview with Kip Long, the worship minister at Sycamore View Church of Christ in Memphis, TN. In 2015 Kip and the Sycamore View Praise Team produced an album titled Without Borders that broke from their usual repertoire of contemporary Christian music. One of the great challenges for multi-ethnic churches is designing ways for each culture to express themselves in worship. So I was curious to learn from Kip what motivated the production of this album and the process of reflecting cultural diversity through music. How are the song choices on this album different from previous compilations? The song choices were different than previous compilations primarily because their sources and style were different. I spent time searching for songs suggested by my Hope Works class members and a few brothers and sisters who were familiar with urban contemporary gospel music and it opened a whole new appreciation for other artists. These songs were a stylistic departure from the previous songs because we had never recorded much gospel music before. We touched on a few songs on our Hymns CD which featured Jerome Williams, but never to this extent. I understand that you took a sabbatical and did some research in preparing not only for the album but to adjust the worship style at Sycamore View. Can you describe that process? After 7 years of ministry, each minister at Sycamore View gets a sabbatical to not only unplug from ministry, but to make deeper connections with God. During my time with God, I needed Him to help me discover ways to be the worship leader for a congregation that continues to grow in diversity. I am a 46 year-old white male who leads worship for a multi-generational, economically diverse, and multi-ethnic congregation. I knew we were planning to make a few stylistic changes to the next CD, but beyond that I wasn’t sure how much change was needed in our worship gatherings. No wholesale changes in worship style were needed, but our music style would need to reflect the congregation as it grows in diversity. This CD would help many members and guests gain a greater appreciation for Gospel music. Without Borders would be a good first step. God was training our hearts and ears to hear his voice among different styles of music and culture. Peace in knowing that God is shaping us into the church he needs us to be on his time table. What’s the racial makeup of your church? Have you received criticism for introducing songs from a different culture than many members are accustomed? Our church is about 77% White, 20% Black with a few other ethnic groups among us. The bride of Christ at Sycamore View is truly beautiful. After the CD release, I received a few comments from people who do not prefer this style of music, because it was a little “too busy” for their ears. But most of our members fell in love with new music they might have never heard had we not chosen these specific songs. As we move forward, I intend to seek out more congregational-friendly songs (for CD’s and for worship) that have roots in the African-American community. I am praying that God will continue making our praise team even more diverse and as we grow together so we can lead with credibility and integrity. I keep asking God to guide this process and open the doors that need to be opened. My prayer is Philippians 1:6, “being confident of this, that he who began a good work in you will carry it on to completion until the day of Christ Jesus.” God started this journey and he will guide our church to a place where we can all experience worship gatherings with the style of worship that is right for us. Many of the resources I know on the topic of multi-ethnic churches emphasize the importance of expressing the cultural diversity of the membership in our worship services. What has been the biggest challenge you’ve faced as a worship leader in a larger church? As we prepare worship each week, we pray that the leadership on the stage reflects the diversity in the pews, but not every Sunday will be as diverse as our congregation. We lead with those who are available to lead and celebrate when it happens to be a diverse group. Our prayer is that God will continually help us open doors of leadership to all people in our family so that various generations, genders, ethnicities, and socioeconomic levels would be represented. Continue to the final part HERE. I met Kip Long during my first year in the United States (1999/2000). A small church in rural Mississippi had asked me to work with their teens a few hours each week. This is how I found myself at a youth rally in Senatobia, MS. Kip was a youth minister from Memphis and worship leader for the weekend. He could also throw the football further than any of the other teens in the parking lot that weekend. Today, Kip serves as the worship minister for the Sycamore View Church of Christ located in Bartlett, Tennessee, just outside the city limits of Memphis. As a worship minister he leads the church’s primary worship gathering each Sunday, coordinates the praise team, plans musical events and produces worship CDs. In the bigger picture he seeks to help people live a life of worship that will attract others to the Lord. One of the great challenges for multi-ethnic churches is designing ways for each culture to express themselves in worship. In early 2015 I stumbled across a new worship CD recorded by the Sycamore View Praise Team titled “Without Borders” that attempted to address this challenge. I recently had the opportunity to interview Kip about the motivation and process of producing this album. I’ll be sharing this interview with you in three parts over the the next three weeks. How long have you been the Worship Leader at Sycamore View Church of Christ? I’ve have the privilege of leading the Sycamore View Church in worship for 13 years. How many albums has your worship team produced over the years? What prompted you to start recording these albums? When I began work at Sycamore View in 2003, there were several new songs that the church had not learned and I needed a way to teach them. We were also searching for ways that each ministry could share the Good News of the Kingdom. A few months later, Seasons of Worship Vol. 1 was born and we were able to share music with members and guests. You recently released an album named “Without Borders.” Can you explain that name? When churches sing about God’s power, the Spirit’s guidance, the Savior’s sacrifice or any of the major themes in worship, we are formed, informed and transformed as we worship. Although we find ourselves in agreement over the content of our worship songs, we discover some disagreement when it comes to the style of songs. On all popular secular radio stations, you will hear the same basic content: I love you, I hate you, Go away, and Come back (Over-simplistic…but close, right?) So why do we choose one station over another? It is because the style of music is what we prefer. In my car, you will find my pre-set radio stations are Christian, Gospel, Rock, Pop, Classic Rock and Oldies because these reflect my preferred style of music. When my 14 year old daughter gets in my car, she hits a button that takes the radio to FM2 pre-sets, where 4 of the 6 stations are Country. Because I love her, I am willing to listen to her music even though Country music isn’t my preferred style. But over time I have discovered a few songs that I truly like-songs I would have never heard otherwise. Do you have a pre-set style of worship music? Does your church? What if our love for brothers and sisters caused us to expand our perspective and discover different styles of music? This project was an attempt to invite our church across a few stylistic borders to discover new ways to praise God. What motivated you to move in this direction? I didn’t really know how to respond. I had every opportunity to find offense. After all this wasn’t just any music, this was MY music. I was thinking, “What’s wrong with my music?” Thanks to the Spirit’s guidance, he helped me close the door of offense and open the door of understanding. I simply asked, “Hmm….well… I’m not sure. What kind music do you like?” Her face lit up as she started naming all these artists whose music blessed her life. I can honestly say that of the dozen names she mentioned, Kirk Franklin was the only name I recognized. And so when the class began I asked everyone, “What Christian artists draw your heart to God?” And for 20 minutes we discussed Christian artists that I had never heard before. They played songs from their phones and most began singing along. It was a holy moment…and I felt like an outsider. After class, I got in my car and sat for a few minutes in silence. I prayed, “God, thank you for opening my eyes today. Thank you for my brothers and sisters who love you and for the Christian artists who bless them. But what does this mean for me? Why have I never heard of these Christian artists before?” Then I envisioned my congregation and thought of my black brothers and sisters at Sycamore View. “God, do my S.V. brothers and sisters feel this way? What do I do now? Do I change everything? Do I change anything?” As I started my car, I found Hallelujah FM (a Gospel Station) and locked in a new pre-set. CONTINUE READING PART 2 OF THIS INTERVIEW HERE AND PART 3 HERE.